So is his spiritual twin and Southern Baptist minister Dallas Willard; what many don’t seem to remember is Foster was once Willard’s pastor in a Quaker community and what Foster catechizes so does Willard. 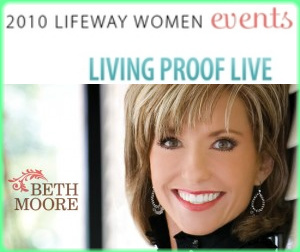 That understood, after Max Lucado’s quick comment in the video, listen closely to Beth Moore. Using contemplative-speak concerning someone she refers to as “a true lover of God,” Moore is obviously lavishing praise upon this unnamed person, whom she tells us “spoke about practicing God’s presence.” I wonder why Moore apparently felt she needed to obscure who she is talking about. In fact she’s speaking of apostate Roman Catholic Carmelite monk Nicholas Herman (1614-1691) aka “Brother Lawrence” and his little book Practicing The Presence of God, which is also highly recommended by Gary Thomas. Now, you might be wondering why I would mention Gary Thomas. However, the idea of “practicing the presence of God” is meaningless. Do we also practice the omniscience of God; or perhaps, we need to practice His omnipotence? You may recall that in Disciplines To Deception In The Southern Baptist Convention I told you more about this mystic monk. You see, it’s important to this discussion that you understand the very spiritual practices of Herman’s monastic order were developed by Teresa of Avila. If you wish to know more about this emotionally troubled Roman Catholic nun I’ll refer you to Who Is Teresa of Avila? Sadly, today these Roman Catholic mystics are being romanticized and undergoing a revisionist history within the visible church. For Lawrence, his supposedly being so in tune with God’s’ presence would lead him to remain in spiritual slavery to the apostate religious system of the Roman Catholic Church. An organization that has anathematized the Gospel of Jesus Christ, and which Dr. John MacArthur rightly referred to as “Satan’s best front for the Kingdom of God.” So, why would we even want to follow this kind of stupid spirituality; rooted, as it is, in the Counter Reformation (hello!) of the Church of Rome? This is precisely the point: Those who chase after this heart murmur mysticism always end up, at the very least, sinfully ecumenical; and at worst, driving toward Christian Universalism as with the Love Wins mythology of the Emerging Church rock star mystic Rob Bell. Look at his drift over the past few years. You know, one of the things that time gives us is that it erases the lines in between people so many different sections of the people of God. Because many years later it doesn’t matter any longer that this person was of this practice in the Christian faith and this person of another. So what do you suppose it is that Beth Moore is talking about in this section of the Be Still DVD, dedicated as it is to the praise of so-called “Christian” mystics who were members of the apostate Church of Rome, when she says that time “erases the lines.” She’s referring to the Protestant Reformation. The Roman Catholic Church condemns “sola fide! (L.)” Now if, please understand this, if “sola fide (L.)” is the gospel, then the Roman Catholic Church has condemned the gospel of Jesus Christ. Now, nobody who went to the Council of Trent, as a delegate, went there with the intention of condemning the gospel. The theologians of Rome really believed that they were defending the gospel and that the Protestants had in fact committed apostasy. And I admire the Church, the Roman communion of the 16th century for at least understanding what apparently people don’t understand today, and that is what is at stake here. That they understood that somebody is under the anathema of God! As you’ll see in Has The Roman Catholic Church Really Changed? the answer is crystal clear: Absolutely not. Rather, this despicable reversal of the Reformation currently going on within squishy evanjellyfish is the work of spineless professing Christians who are themselves now covered in the blood of the martyrs. 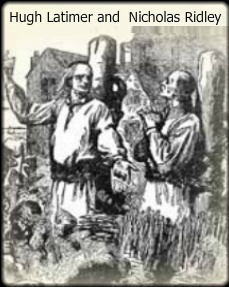 Believers in Christ who were murdered because they believed the Gospel of Jesus Christ i.e. salvation is by God’s grace alone; through faith alone, in the finished work of Christ alone on the Cross. Shame on such as these like Beth Moore for forgetting the price paid so she’d even have a Bible to teach from. Should the Lord choose to sustain me, be sure that I’ll have more to say about this travesty in the days to come. It’s one thing to lament the lack of those of us who make a bold stand for Christ in this tepid time; but it’s quite another to pay the price in standing with us as the enemy then quickly steps in to vilify us. Back to note 1 — http://tiny.cc/wpgw3, accessed 9/4/11. Back to note 2 — http://tiny.cc/fmqwo, accessed 9/4/11. Back to note 3 — http://tiny.cc/2pgrv, accessed 9/4/11. Back to note 4 — Ursula King, Christian Mystics [Mahwah: HiddenSpring, 2001], 149, 150.